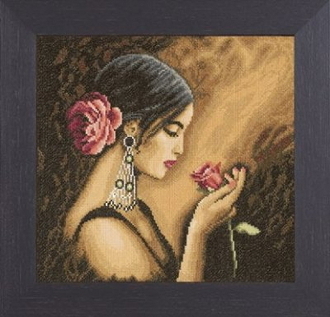 An exquisite counted cross stich design with a "Spanish Beauty" holding a rose. Design size: 12"w x 12"h (30cm x 30cm). 14 count Aida fabric, 100% cotton pre-sorted DMC threads, needle and instructions.